TaskRabbit, the San Francisco-based marketplace for personal projects and services, has hired longtime Google exec Stacy Brown-Philpot as COO. As both its funding and also competition have increased, the move is another major effort by TaskRabbit to up its management game. Brown-Philpot certainly fits the bill, having worked at a wide range of jobs at Google for more than a decade. The Detroit native was most recently an entrepreneur in residence at Google Ventures, and has worked on global operations for a wide range of products — including as head of online sales and operations for Google India — and also in high-level finance jobs at the Silicon Valley search giant. Previous to Google, Brown-Philpot worked at the PricewaterhouseCoopers accounting firm and also in M&A at Goldman Sachs. She attended the Wharton School of Business at the University of Pennsylvania, and has an MBA from the Graduate School of Business at Stanford University. In other words, a very impressive resume — more impressive, given that she has always been a straightforward and charming exec in my many encounters with her over the years. Brown-Philpot will be the second time that TaskRabbit founder Leah Busque has tried to expand the company’s top talent base. In June of last year, Busque took back the title of CEO from Hotwire founder Eric Grosse, who had been hired in late 2011. 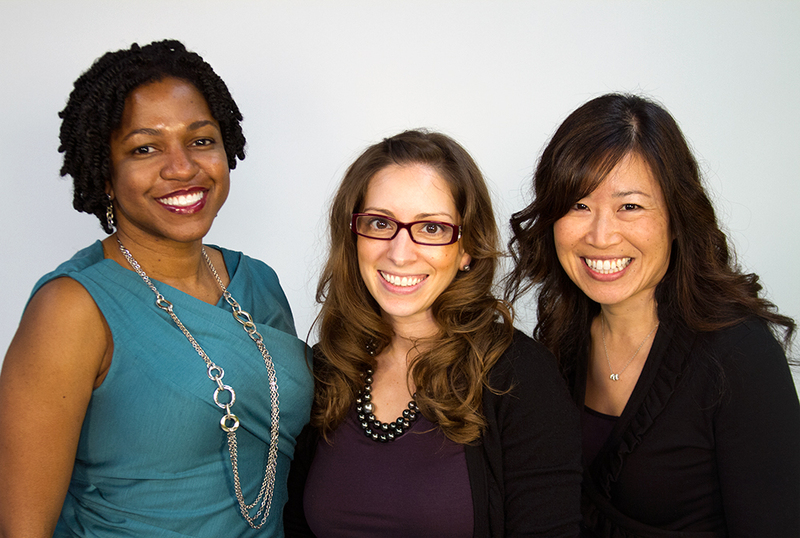 But in November of 2012, TaskRabbit bought One Jackson, adding Anne Raimondi (pictured above with Brown-Philpot and Busque) as chief revenue officer. And now Brown-Philpot. The trio has their work cut out for them. Last July, the company garnered another $13 million in funding in a Series C round, led by Founders Fund and including existing investors such as Shasta Ventures and Lightspeed Venture Parters. The startup has raised $38 million in total over its five-year history.